The male crab has a shell measuring 23 centimeters in length and 20 centimeters in width, with pincers of 20 centimeters and a leg span of 85 centimeters. 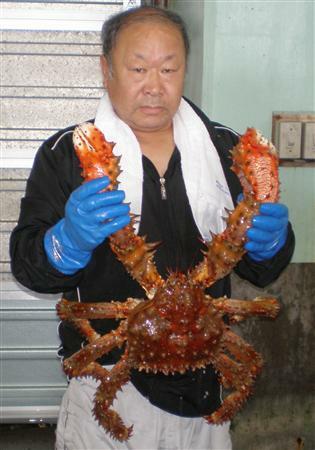 The crab was sent to the Nemuro City Fisheries Research Institute to be studied because crabs that large usually have very tough meat. He may have not received any money for the huge catch, but he definitely has bragging rights. The Hokkaido Shimbun Press via FG.